Farlin’s organic and strong formula helps remove all kinds of stains and is gentle on your hands and strong formula helps remove all kinds of stains and is gentle on your hands. 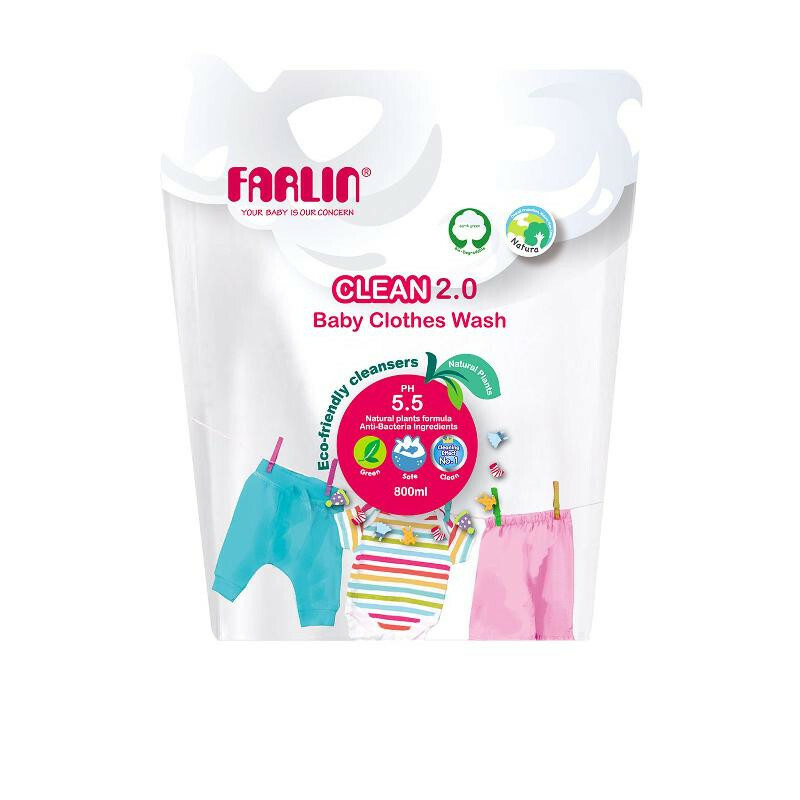 Farlin Eco Friendly Baby Clothing Detergent is formulated using organic and eco friendly cleansing agents that are gentle on the baby’s skin. You can wash your entire family’s clothes in it as it effectively removes any dirt or stain. The ingredients of the detergent are approved by the FDA (Food and Drug Administration). We understand that a child’s skin is sensitive and the detergent is tough on the stains but gentle on the baby sensitive skin.